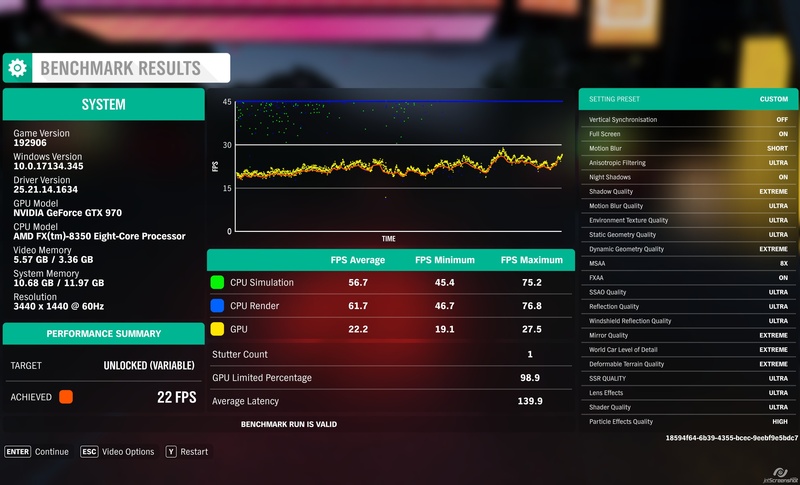 I am not surprised with the results as they are in line with what gamers nexus said in his review of the Titan Xp vs Titan X Pascal. I used to think there was at least 10% difference between the two, but in majority of titles it is closer to 5% it seems. Here's mine with the latest drivers. Oppps! Thanks for the heads up. I'll have a gander and some point and re-do it. 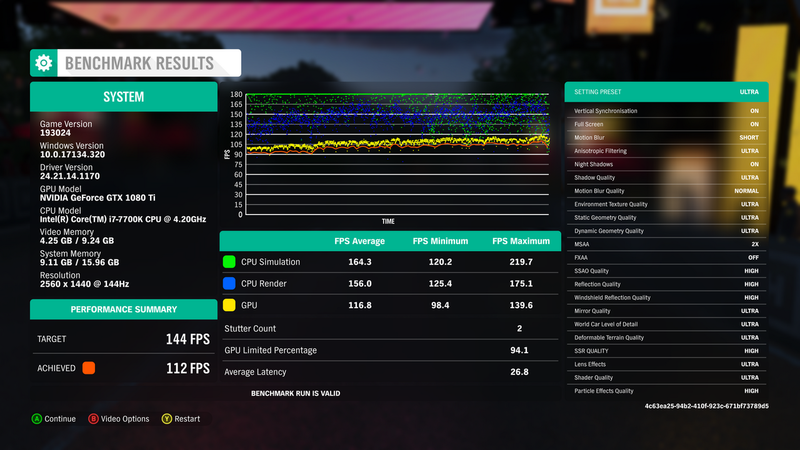 Is a 1050ti enough for 60fps at high? Probably do alright I would think, with enough tweaking of settings. With a 2500k? 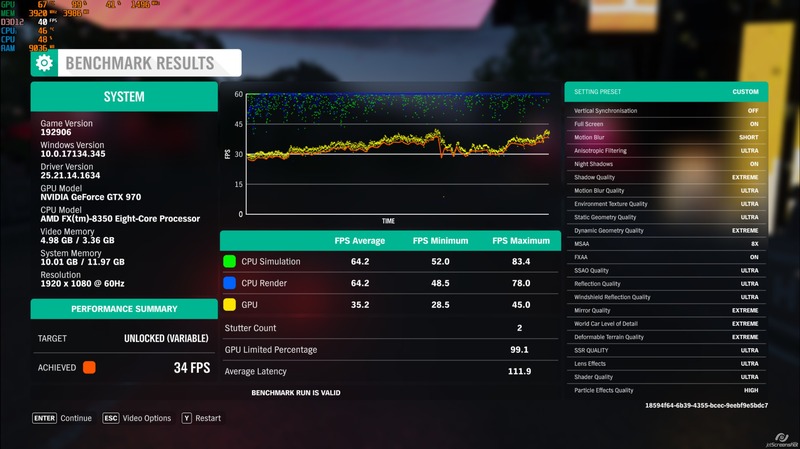 From some of the benchmarks that's been posted this game benefits from having more then 4 physical cores, with a O/C'd 8700K a 1050ti can run over 70fps on medium so hitting 60 at high shouldn't be to much of a stretch but again your CPU will come into play. 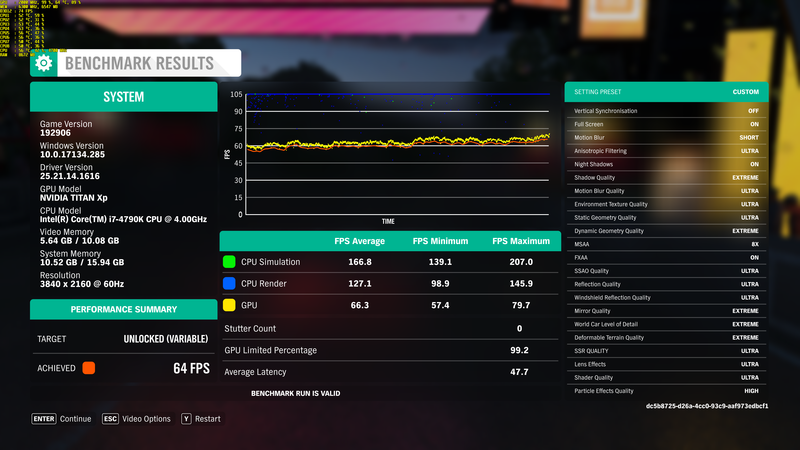 Interesting performance issues after running the benchmark on Ultra, I lose 10 frames per second average if I switch to High and then run it again, if I restart the game, it averages over 70fps. Invalid result for the thread but here it is anyway. 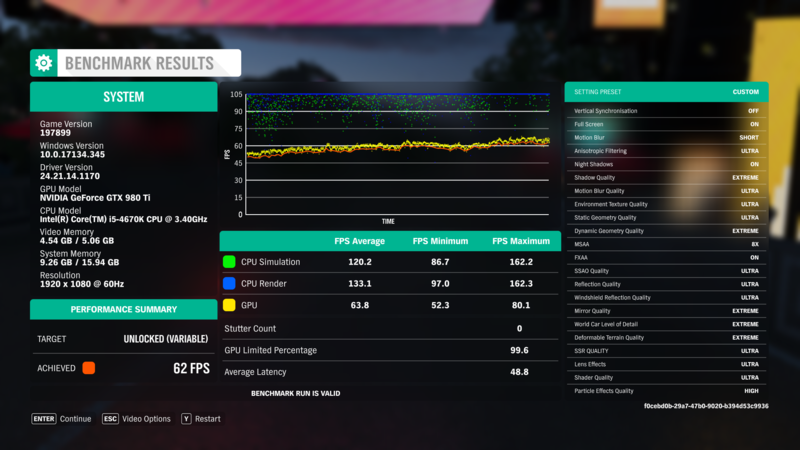 Happy enough to be able to run it at high with vsync at 60fps. How is @Arron17 970 so much better then the others? Are you running tweaks in the nvcpl? I have checked his results screenshot and the settings look right. @Arron17 Could you double check and re run if possible please as the score is quite high for a 970.